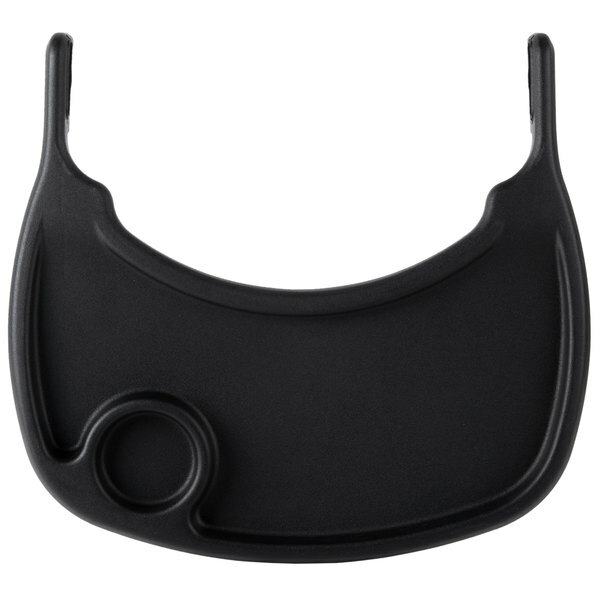 This Lancaster Table & Seating black plastic high chair tray fits onto your existing Lancaster Table & Seating high chair (sold separately) and is perfect for heavy-duty use. Have it as an extra on-hand or use it to replace worn high chair trays, keeping your dining venue in top condition. Simply snap-on or off of your high chair for quick cleaning before your next party arrives. This tray keeps meals in close reach, allowing children to comfortably eat without having to reach onto the dining table! Plus, its high rim keeps plates and food items from sliding off the sides and onto the floor. An added cup cut-out prevents beverages from being knocked over, reducing spills and cleanup time!